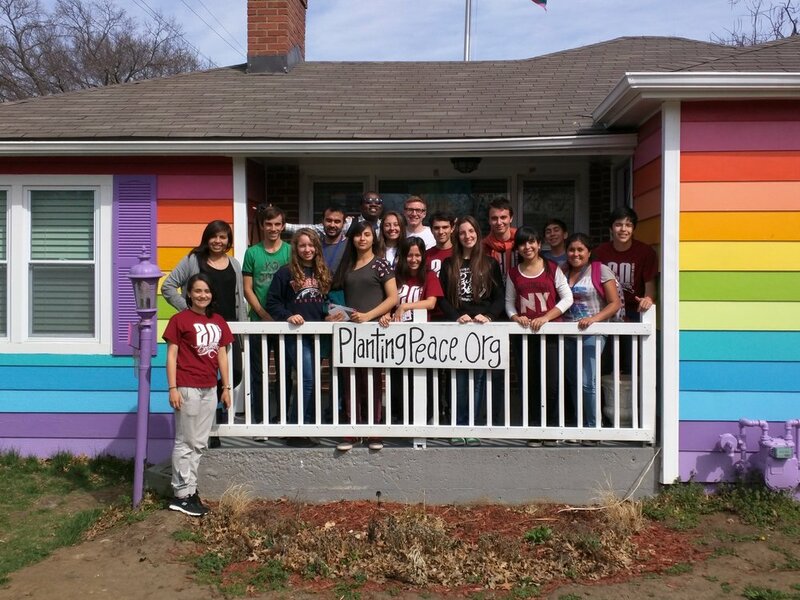 15 high school students from Argentina and Chile will be in Kansas City to learn about multiculturalism and civic engagement, while participating in leadership development. We partnered with Lee’s Summit North High School to engage with students with their peers. They will participate in exercises to understand how multi-ethnic communities can live in harmony. Youth leaders from Ghana, Mauritius, and South Africa will be in Kansas City for a 3 week training and cultural exchange program. In partnership with Shawnee Mission East, these leaders will be engaging with their peers as they learn about American culture and further develop their leadership skills. We are looking for host families for these and other upcoming youth programs. Host families must provide a bed, breakfast and dinners, and a unique cultural experience for our students. Program participants will be busy from 8:00 am to 5:30 pm on weekdays and free to spend weekends with you. For more information, email Courtney Brooks at cbrooks@globaltieskc.org or apply below. The next generation will be charged with solving new social, political, and economic challenges around the world. Through short and long term youth leadership programs, we are able to arm this generation with a set of skills and experiences that they wouldn't find elsewhere. Our programs promote mutual understanding, leadership development, educational transformation, and democratic ideals. Through short and long term programs, students live with local families, connect with resources, and develop community based projects to implement back in their home countries. Global Ties KC hosts a variety of youth programs from across the globe. Jóvenes en Acción (Youth in Action), is a summer exchange program in the U.S. focused on civic education, community service, and youth leadership development for Mexican high school students. Participants engage in workshops on leadership and service, community site visits, interactive training, presentations, and visits to high schools, supplementary English language classes, local cultural activities, and more. The Iraqi Young Leaders Exchange Program (IYLEP) for high school students provides a fully-funded program to talented Iraqi and U.S. students who demonstrate leadership and civic engagement in their communities. During the program, students engage in experiential learning activities and workshops that further guide their knowledge of civic engagement and intercultural communication. The Youth Ambassadors Program is an exchange for high school students from the Bahamas, Barbados, Guyana, Jamaica, Suriname, and Trinidad & Tobago focused on civic education, community service, and youth leadership development.